Andrea Araujo is the dance instructor and choreographer to SambaLa and is the 2016 Muse of SambaLa. 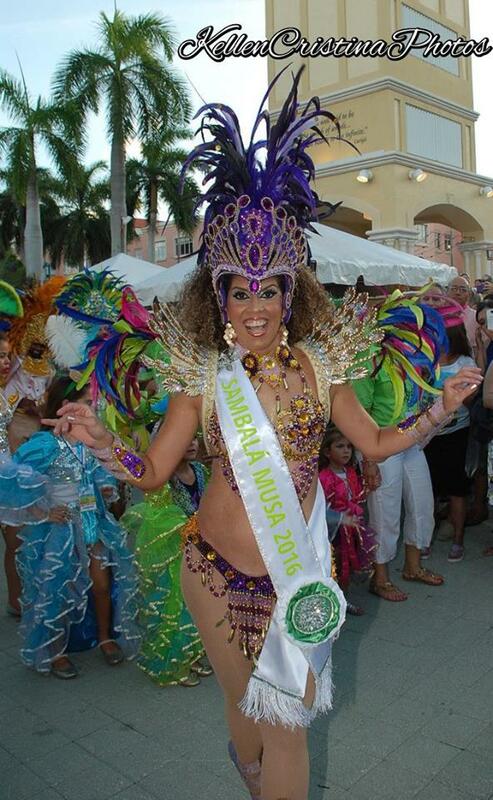 Learn samba dance and practice you dance moves for the upcoming samba parades with professor Andrea Araujo at SambaLá Samba School’s practice space in Pompano Beach, Florida every Monday. Everyone invited! No experience necessary! Learn with a pro and join our community group and be part of the parade! Tenho um grupo de gostaria fazer aula. Alguma classe de sab ou a noite ?